According to New Zealand news site “Stuff,” the next Indiana Jones film will begin shooting next year, with the plot line centered around the Bermuda Triangle. The source explained that Lucas and Spielberg have been working on a script, and that Harrison Ford is on stand-by for filming next year. Apparently, they also said that this film will be made in a more old fashioned way rather then the CGI-effects filled previous film. For what the film was, I enjoyed ‘Kingdom of the Crystal Skull,’ but I definitely felt like something was missing. I was never able to put my finger on it fully, but, something felt awry. This story sounds like it could be much more compelling, and my hope is that they really shoot as much of it without CGI as possible. 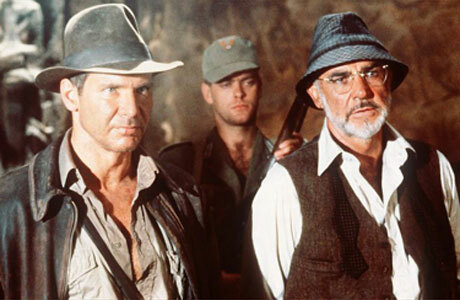 Also, it occurred to me, that Indiana Jones could be a franchise where every other one could be a “good” one. Since, Raiders was great, Temple of Doom, so so, and Last Crusade, great. Anyway, obviously I have my reservations, but Indiana Jones was my hero growing up, and I’d love to see a 5th one whether or not I’ll be disappointed in the end. I’ll give them one more shot! But then again, who am I?